Pelicoin is Louisiana's largest, most secure cryptocurrency ATM network. This means you can buy cryptocurrencies, such as Bitcoin (BTC), Litecoin (LTC), and Ethereum (ETH), quickly and safely at any of our ATMs in the Gulf South. Cafe Luna, a coffee shop less than a mile from Audubon Park, is just one of many locations that house our state-of-the-art ATMs. Despite the complexity of the cryptography that makes them so secure, Bitcoin and many other cryptocurrencies are made for everyday people. One of the biggest appeals of Bitcoin is that you can be the sole owner of your cryptocurrency, and no company or government entity has control over it. But buying digital currency can feel overwhelming when you don't know where to start. At Pelicoin, we believe cryptocurrency should be easily accessible to the public through simple, safe ATM transactions. 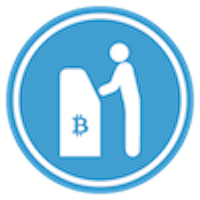 Pelicoin ATMs are the fastest and most secure way to turn cash into cryptocurrency. For your convenience, all of our New Orleans Bitcoin ATMs are located in friendly shops and stores that are open late or 24 hours a day. Stop by any of our machines whenever you want to make your next Bitcoin transaction.